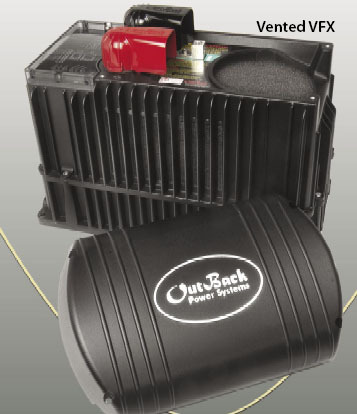 The OutBack FX Inverter is a modular "building block" sine wave inverter/charger which can be used for both small and large power systems. Each OutBack FX inverter/charger module is a complete power conversion system - DC-to-AC inverter, battery charger and AC transfer switch. Additional inverter/chargers can be connected at any time in either parallel (230 VAC), or even three-phase (230/400 VAC) configurations. This allows the system to be tailored to the specific power conversion requirements of the application, both at the time of the installation and in the future. 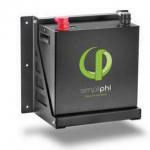 Up to eight FX inverter/chargers can be connected together to provide up to 20 kW of continuous power conversion capacity. 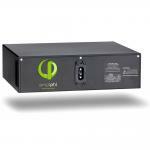 The OutBack FX inverter/charger system is designed for both residential and commercial stand-alone and utility-interactive applications with battery energy storage.